So, I know, it has been a few days since this was supposed to come out, but unfortunately, not everything can always go to plan. Anyways, in order to make myself up, here is all what everyone was waiting for, the part that truly distinguishes the Montreal Auto Show from its Detroit counterpart: Exotics. Starting with the good old US of A, what better way to start, than to look at a few Muscle Cars? The Chevrolet Camaro, of which I am a big fan, was present, particularly is ZL1 form. Powered by that superb 6.2L LSA V8 developing 580bhp, it truly is a bargain power house. Speaking of which, Montreal may not have had the new C7 Corvette Stingray, but what better way to make up for it with a couple of C6 Corvette ZR1s? With the exception of that plasticky interior, it is amazing what this Corvette can do. You may hate its size or transparent hood-window-thing, but you have to admit, for that price, it really is in a class of its own (though maybe the new SRT Viper can match it). From Ford, no big exotics, though the Mustang Shelby GT500 made an appearance, and with 662bhp, it is the very definition of “too much power”. 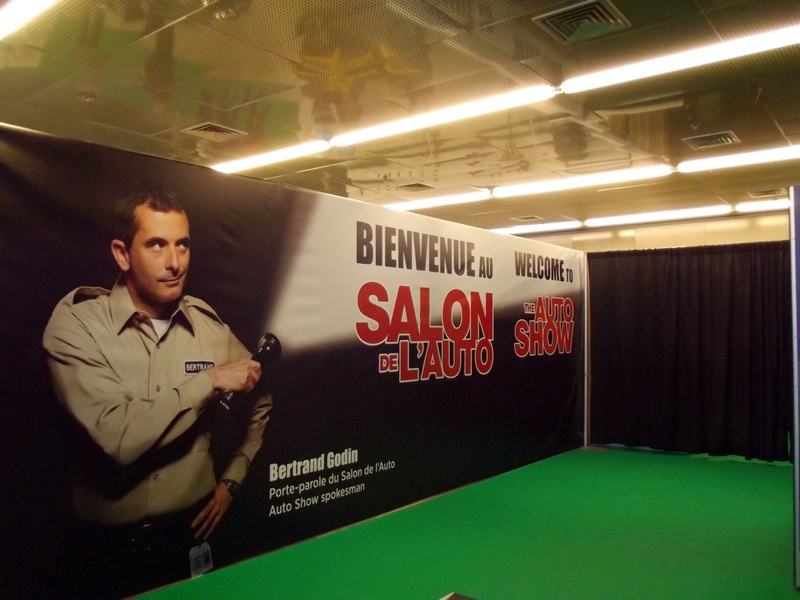 The Montreal Auto Show also had an interesting feature, the “Centenary Avenue”, showcasing some classic cars, such as a Model T, an original Mustang Shelby GT350, or even the Burt Reynold-esque Pontiac Trans-Am. After all this though, the show really started. We will start off mildly with Porsche, showcasing their entirely refreshed range. The Cayman and Boxster 987 look really good in person, I have to admit, the 911 991 looks very capable. It is the 911 that made me finally fall for them after all. The Panamera was also there, trying to be hip and young with a pair of mountain-bikes on its roof. Success? Well in terms of sales, yes. After that, it was all about the Gentleman Driver. Aston Martin presented the brand new Vanquish, next to a few Virages in both coupé and cabriolet form. Now, I am not the biggest Aston Martin fan, and though they are pretty, it is hard for me to distinguish the two. Yes, to drive they may be miles apart, but from the outside, I just don’t see the evolution from the DB9. Maybe I don’t get art? Next to them, my favourite brand, Bentley had the updated Continental and the Mulsanne. The Continental really has improved in this new updated form. It does seem like the perfect balance of pure luxury and speed. No wonder Jeffrey Deaver’s James Bond drives one. The Mulsanne though, which could have been my perfect Bentley (after the superb Arnage T), looks a bit funny with those LED lights. When are manufacturers going to work out that LEDs like that are not pretty? Opposite this very British side to motoring was the Italian one, with Lamborghini. The Aventador was the star of this hall, in its flamboyant orange. If anyone thought this new Lambo was going to be dull, they are wrong. Just look at it! And the sound of that V12 is just pure music! Next to it, the new Gallardo, in white, looked a bit tame. Those new front and rear bumpers look better in the metal though. Now we just have to wait for its replacement next year hopefully (10 years of production this year!). Oh, and Lotus was even there, with a couple of Evoras! In the next hall, the big fight was on. For some amusing reason, the Ferrari group were placed just next to their main rival, Mclaren. On the Ferrari side, Maserati was there, with a beautiful Granturismo Sport in red and a white Grancabrio. Ferrari were showing off the FF, California and 458 Spyder. The FF was a new to me, as I had never seen it in person before. Maybe it was because of the black colour, but I find it weirdly attractive. After all, what is not to love in a Ferrari that can be used every day driving down to the south of France and do some of the fastest laps around the track? The California on the other hand does not look very special, it is a little disappointing. The 458 Spyder though is a very appealing car, which symbolizes what Ferrari does best: Passion, speed and frivolity, in an open-top. Next to this, the Mclaren stand seemed a bit empty, though with the new 12C Spider sitting next to the regular MP4-12C, it did look promising. Yes, you may not get the same passion as the Ferraris, but they do look like the most effective super cars. After that, we had to look at the regular manufacturers for some exotic metal. Infiniti had the brilliant idea of showing a Red Bull F1 (they are a sponsor after all), Mercedes-Benz had a beastly SLS AMG Roadster and BMW had an M3 race car, to celebrate 40 years of the Motorsport division. No, there was one big surprise at Montreal, from Lexus. Yes, they were showing the new IS 350 (more on that later), but in the middle of all the sensible sedans sat one of the best cars of all time: The Lexus LFA. The car I most wanted to see in person was there, in black. Who would have thought that Toyota, of all people, would come out with this quarter-million dollar supercar, with the best sounding production V10 engine ever? It is what a Japanese supercar should be, very technical, unbelievable attention to detail (no wonder it took 10 years to develop) and an overall thrill ride. You just cannot hate this car. The only problem with it is that only 500 were made. So the chances of seeing one are practically zero. With that, the exotics part of the Montreal Auto Show can come to an end. One more section to this 5 part series very soon: Midsize cars (basically, all the rest). This entry was posted in News and tagged 458, 911, amg, aston martin, aventador, bentley, boxter, california, camaro, cayman, chevrolet, continental, corvette, drophead, evora, Ferrari, ff, fisker, Ford, gallardo, ghost, granturismo, gt, gt350, gt500, karma, lamborghini, lexus, lfa, lotus, maserati, mclaren, mercedes-benz, mp4-12c, mulsanne, mustang, phantom, pontiac, porsche, red bull, rolls-royce, shelby, sls, spider, spyder, vanquish, virage, zr1. Bookmark the permalink.